Accra, Ghana: Generations For Peace, a global non-profit peacebuilding organisation based in Jordan, engaged over 500 youth in nine countries with Get the Ball Rolling 2019, an international series of football games that united diverse youth to celebrate International Day of Sport for Development and Peace (IDSDP). The purpose of the global event was to emphasise the power of sport to foster unity and build peace across physical, mental, and emotional borders. At 11am UTC (10am in Ghana), 17 simultaneous matches began across Africa, Asia, Europe, and the Middle East. 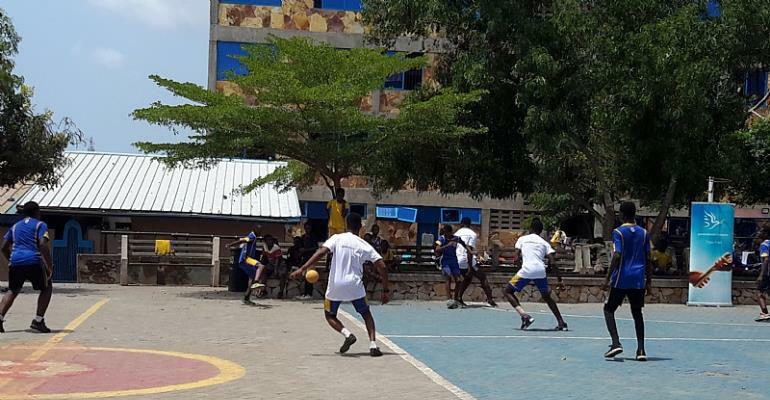 In Accra, the games created a safe space brought to life at Saint Peter’s Mission School and welcomed youth from various ideological and political backgrounds to overcome divisive barriers through sport. Naa Adei Boateng, Lead Pioneer of Generations For Peace in Ghana, oversaw the event in Accra and said, “Ghana has for many years faced challenges when it comes to ideological and political divides. Get the Ball Rolling 2019 was a great opportunity to address those challenges and many others around the world, providing a safe space through sport where local youth could unite, crossing mental and emotional borders they face eevery dayand recognising that they are not alone. Ranked theworld’s #3 peacebuilding NGO, the #11 Children and Youth NGO, and the #29 NGO overall by NGO Advisor for 2019, Generations For Peace – the only peace-through-sport organisation recognised by the International Olympic Committee – has a history of using sport-based games to empower youth to build peace and transform conflicts across tribes, religions, races, ethnicities, and nationalities. Over the last 12 years, the organisation has trained, mentored and supported more than 11,400 youth volunteers, whose efforts have positively impacted more than 524,000 children, youth, and adults in 50 countries. In addition to its renowned Sport For Peace programming, the organisation also uses arts, advocacy, dialogue, and empowerment tools, addressing challenges of gender inequality, post-conflict trauma response and reconciliation, and more. In the last 12 years, we have trained and mentored more than 11,468volunteer leaders of youth in 50 countries in the Middle East, Africa, Asia, and Europe. With our support, their ongoing programmes address local issues of conflict and violence and have touched the lives of more than 524,370children, youth and adults. GFP is ranked 29th in the “Top 500 NGOs in the World” for 2018 by NGO Advisor and is the second-highest ranked peace-building NGO in the world. It is also the number one Jordanian NGO on the list. The ranking assesses non-governmental organisations according to innovation, impact, sustainability, and strong partnerships.